It seems as if Quake is now have become the gaming platform to show well the Vampire FPGA cards is behaving. For the PC world that is used many GHz its not impressive, but to be able running Quake on Amiga 500 directly with 30FPS or higher is something Amigans could only dream of in 1997 when Quake got launched. Quake, which is a game from ID Software become a standard for measuring accelerator cards for the Amiga. Ever since the very first 68060 accelerator cards arrived. This game got a very easy way of knowing the strength of any cpu by measuring it thru giving a FPS score. For many gamers, you need to have at least 30FPS or higher and this is the number that these Vampire Quake developers is trying to reach. To see Quake and even Doom out for the Amiga came as an absurd thing a few years back before Quake came out. 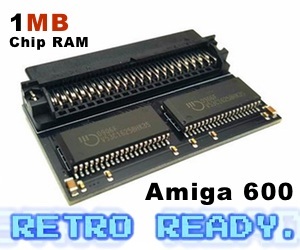 Because, many Amiga people (including myself…!) was protesting against Doom, Quake as it was leaking Amiga users to the PC scene. 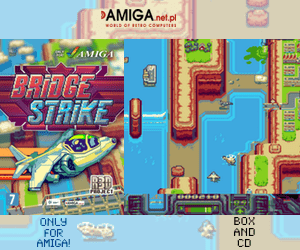 However, Once it was released by ClickBOOM and also other Amiga only made FPS games came out. Then many Amigan’s started to take Quake and Doom to their hearts. It became the standard measuring tool! When ID Software released the Quake source code very early on in a short time after ClickBOOM released their Quake for Amiga version. Then all Amigans with either PowerPC or 68k CPUs started to evolve them and make them faster on the Amigas. So! Since this happened. Quake have become a tool for Amiga Hardware developers to see how good their accelerator is behaving. And this is especially correct for Vampire FPGA cards. These Super Powered 68060 accelerator cards delivers speed, but to measure it correctly Timedemos for Quake is used to show the performance. Amitopia hopes to get GOLD 2.7 for presentation very soon. But until this happen. Quake is a bit far away. However, on YouTube you can see how the progress is going on regarding all Vampire FPGA related development. In the video above you can see how fast Quake is now running in 640×400 screenmode. This is one step forward as in the low 320×240 mode. Quake is running fine now, but the Vampire FPGA developers wants to give the accelerator card even more power and I am glad they do. GOLD 2.7 will for sure bring lots of new functions and speeds to Vampire, which will give the reason to have one even greater. It is really nice to see Quake being used for testing Vampire FPGA. In Amigaworld it’s nice to see that this brilliant game is used for development. So, soon its time for reviving Quake as every Vampirized Amiga will be able to play it! Nice times ahead!